Keyword Density: How Important is it for SEO? Keyword density is arguably one of the most misunderstood aspects of SEO. Back in the day, some digital marketers would game the system through keyword stuffing to try to push their web rankings higher. But it doesn’t work that way anymore. Search engines today have become much smarter and more efficient. Search engines have gone through several major overhauls, especially Google’s Panda update, Hummingbird algorithm change, and the development of RankBrain. 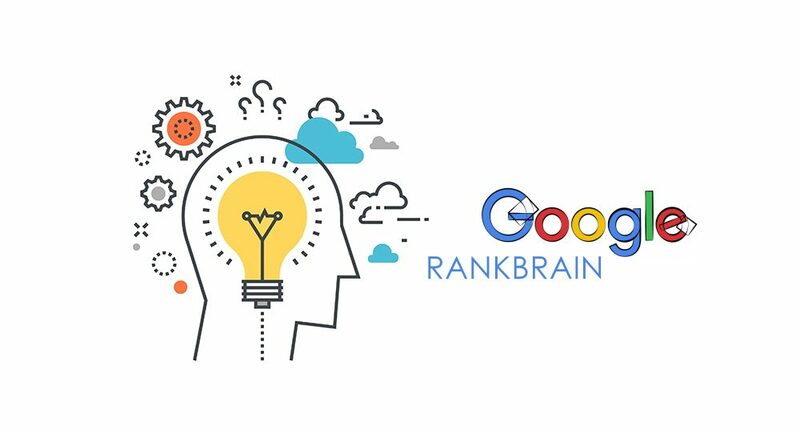 Google has confirmed that RankBrain, the machine learning (AI) algorithm, is the third most important factor in search ranking, after content and backlinks. It sorts the search results to understand search queries and measure how users interact with the results. This ranking factor means that although keyword density is essential to a certain degree, other factors like user experience now plays a more critical role in SERP (Search Engine Results Page). A keyword is a word or combination of words that define the meaning and purpose of your content. In SEO, they are the words and phrases that users key into search engines to find a specific piece of information. Keyword density is the number of times a searchable keyword appears within the content of a page. It could be an exact-match keyword or a semantic keyword, depending on how a search engine crawler reads your content. For example, if a blog post has 1,000 words and a keyword appears 10 times, that means the article has a keyword density of 1%. Let’s make this clear – an optimal keyword density is a myth. There is neither an ideal percentage nor a one size fits all solution. The seed keyword should be placed just once in each of the title, meta description, URL, headlines, and so on, while both the seed and meta keywords in the body content can repeat more than once. Over 75% of the top-20 pages have keywords in their body and over 60% have them in their title. The findings also suggest that Google gives a higher score to the relevancy of highly searched terms, rather than a page or article’s density of keywords. The chart above shows how long-tail keywords can give a higher click-through-rate (CTR) and be more profitable, while high-volume keywords bring in more clicks and better page rankings. Regular keyword research and analysis using SEO tools like Keyword Tool will help you find opportunities for trending, high-volume keywords. It will also give you suggestions for related keywords and ideas to create long-tail keywords that convert better. It’s even possible to rank well with a keyword repetition of only once or twice on a page. Though generally, digital marketers often put a safe value for keyword density at approximately 1%. Yoast SEO on the other hand, one of the most popular WordPress plugins for SEO, suggests a keyword density of between 0.5% to 2.5%. Content is written for people to read, and that is more important than writing for search engine algorithms. When creating content, try to put yourself in the reader’s point of view. Read the text out loud. Does it sound natural? If yes, then you’re on the right track. Otherwise, you’ll need to re-write and clean up the content. Google’s Hummingbird algorithm update in 2013 has emphasized on: “natural writing rather than forced keywords.” It now attempts to understand the user’s search intent to find pages that match that intent, instead of focusing solely on exact-match keywords. Google has also published Word2vec, an open source toolkit, that can learn the meaning behind words. Using distributed representation of text to capture similarities among concepts, Word2vec can understand how certain terms are related to one another, in ways that it may not connect to a different but similar term. When you write in a natural language, it not only gives an excellent signal to Google’s search algorithm but also makes it more readable for the average user. Search engines will read these metrics as a sign of a page with high relevancy, giving it better rankings on SERP. Google looks at more than just keyword matching. It also measures user engagement of your content to determine if the content you provide matches what users are searching. If your title tag and meta description contain keywords that are being searched for, it will be more likely for a user to click it. As a result, your content will receive higher click-through rates which then gives a positive signal to search crawlers. When crafting your title tag, try to avoid click-bait titles that are unrelated to your content. Users will likely bounce off your page quickly, and Google doesn’t like that. Keyword targeting alone in SEO writing is no longer adequate. You also need to write captivating copy for your titles and content that captures attention. If more users take time to read and browse through your content, Google will rank your page as being highly relevant for those search queries. That is when their search intent matches with the content on your website. There is no doubt that keyword density is necessary to a certain degree, but what makes a more significant difference for better search ranking is to have a denser substance of content. As you can see by now, keyword density is an ancient myth in SEO. It hasn’t helped to rank pages as much as some might assume. Instead, you’ll need to figure out smarter ways to rank and match that with how search engines function today. Craft click-worthy headlines. Write engaging content that provides actual value. And watch as your page ranking steadily climb higher and higher.